MyOwn Loyalty brings together healthcare retailers, medical practitioners and service providers, medical aids, better-for-you brands and retailers in an effort to reduce your medical gap and/or cover where your medical aid's day-to-day benefits are falling short. So swipe your MyOwn card at our partner stores and earn points and receive discounts on everyday spend to use on future unforeseen healthcare expenses. 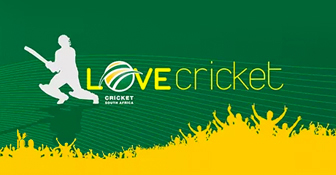 Join the Love Cricket campaign to qualify for amazing deals.